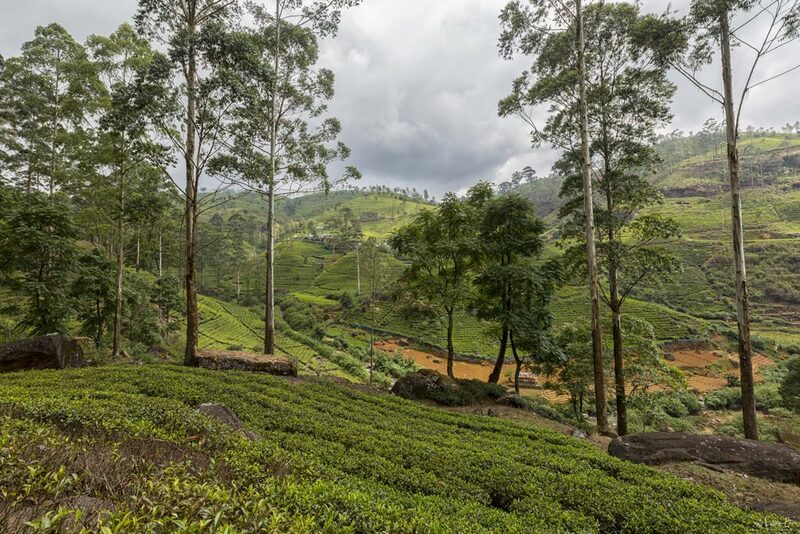 10 days in Sri Lanka and this is what you get: Culture in Kandy, the landscape in the Highlands, a safari in a National Park and a beach retreat on the coast. These are my Sri Lanka tips including the tourist traps you should avoid. Sometimes time for vacation is short, mostly too short. And sometimes we limit ourselves by not traveling too far away because we’ve only got a few days off work and we might think, it’s too far or a long flight is too exhausting compared to the limited time we’ve got in the destination. I used to think like this. But then I realized how silly it is. Planet earth has too many beautiful spots to visit and if we tend to wait for more time, we might not see any of them. So, go out, maximize your travel opportunities and even if you’ve got a few days available, take the 8 or whatever hour flight and enjoy your stay. Tip: stretch your vacation days with national bank holidays. The tropical island has an enormous variety to offer and you can perfectly combine culture, adventure and relaxation. Sri Lanka in 10 days is possible. Here’s how you get the most out of it. The North (Jaffna, Kilinochi, Madu, Vavuniya) has been rediscovered after the civil war. More and more travelers are exploring the lively Tamil culture and the fascinating landscape. 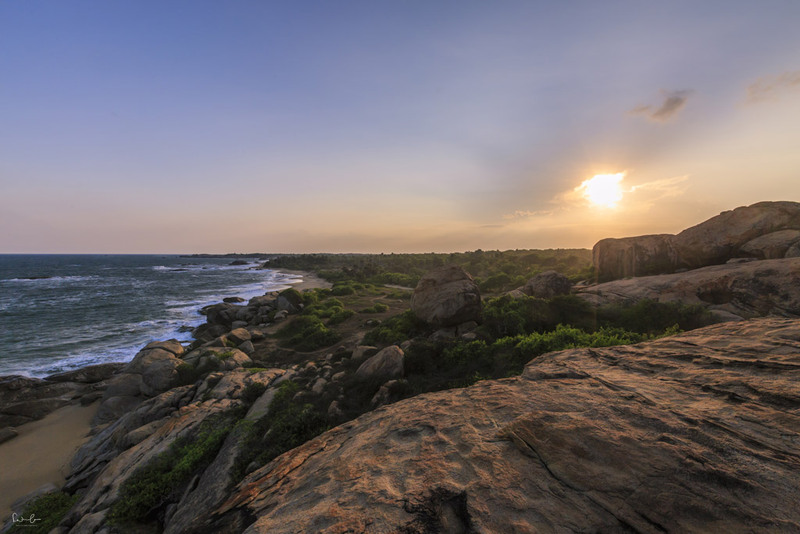 The Westcoast (Puttalam, Negombo, Colombo, Kalutara) is determined by beaches and palm trees. Tourists, backpackers and water sports enthusiasts pilger to this part of the country. In the South (Galle, Matara, Tangalle, Kataragama) you can find beautiful bays, endless beaches, historical buildings and national parks. 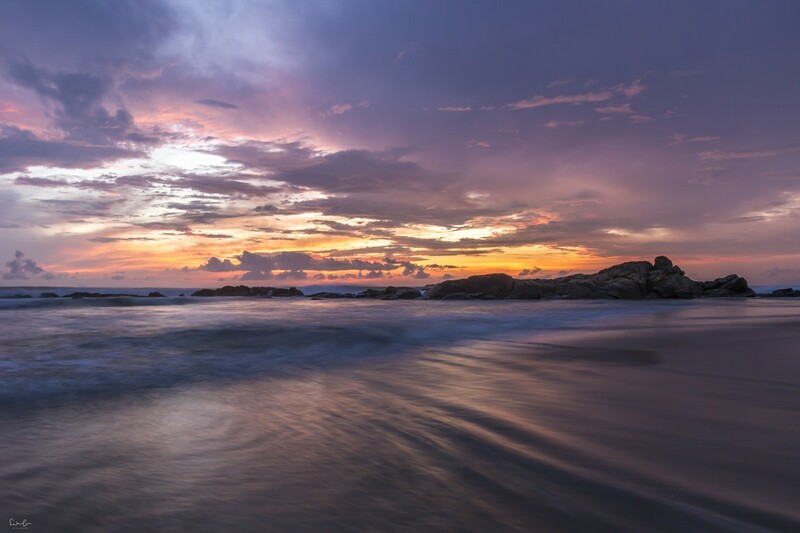 The Eastcoast (Panama, Batticaloa, Nilaveli, Trincomalee, Tiriyai) is paradise for surfers and beach lovers. Cultural triangle (Sigiriya, Polonnaruwa, Anuradhapura, Dambulla, Kurunegala, Matale) is as its name already explains culture at its best and a must for all lovers of culture. There are two monsoon winds in Sri Lanka. While the Southwest monsoon provides lots of rain in the West, South and Highlands between May and October, the East, North and the cultural triangle are not affected. The Northeast monsoon makes sure, that the East and North get enough rain between November and February while the South and West of the country stay dry. So when is the best time to go then? Actually, the whole year – it just depends where you go. What to pack for Sri Lanka? It also depends on where you go. For the 10 day itinerary I’m suggesting, bring some comfy trousers, a sweater, a windproof rain jacket, sneakers and beachwear. Be aware that many parts of Sri Lanka are Muslim, so please make sure your outfit covers knees and shoulders and it’s not too tight. I always bring my silky pashmina with me – not only can I use it to cover my shoulders but it also keeps me warm during my flight. How to get around in Sri Lanka? The easiest and most comfortable way is to hire a driver who brings you from one destination to the next. That’s what I did and I was so glad to have a reliable driver who takes you around responsibly. The roads in Sri Lanka are mostly narrow and you hardly find any motorways. Many drivers act like they’re on a Formula 1 ring without opposing traffic. In fact, there is oncoming traffic and the overtaking maneuvers might cause gasping breathing. I booked the driver in advance and can recommend contacting Malik from the Mango Garden Hotel in Kandy, who arranged the pick up at Colombo airport and the whole tour. It is just a recommendation, you will find plenty of other tips for drivers when you search the net or find them in travel guides – I love the Lonely Planet guides. 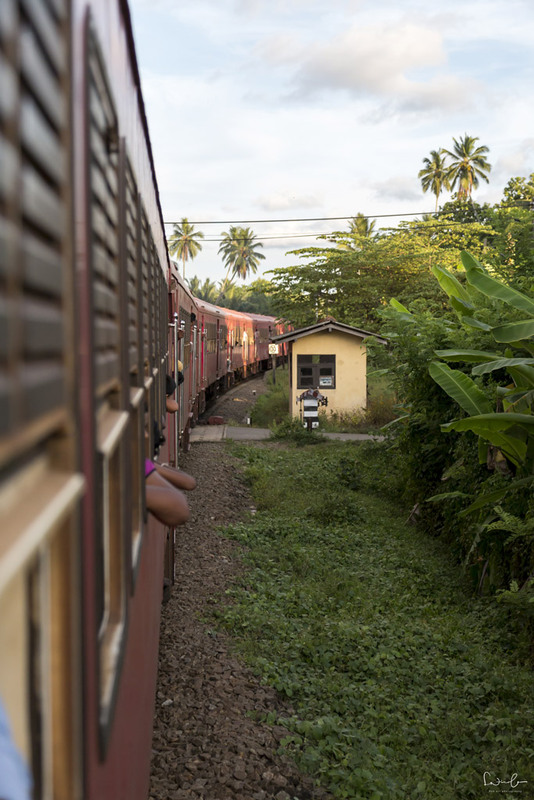 It is very common and easy to take the train in Sri Lanka and it is a great local experience, too. 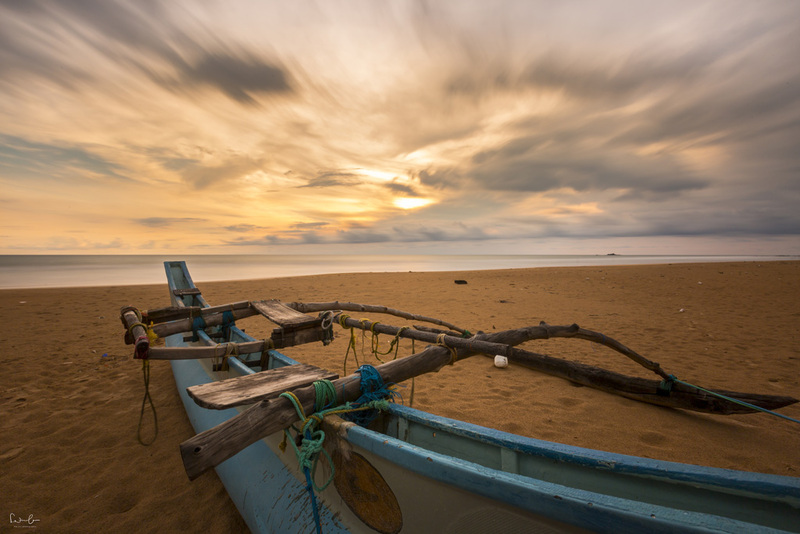 Are you interested in discovering Sri Lanka in a sustainable way? I talked to an expert and she revealed some easy tips on how you can be a green traveler. Plus: 3 eco-friendly hotel recommendations. Follow this link and see my article on how to travel Sri Lanka sustainably. 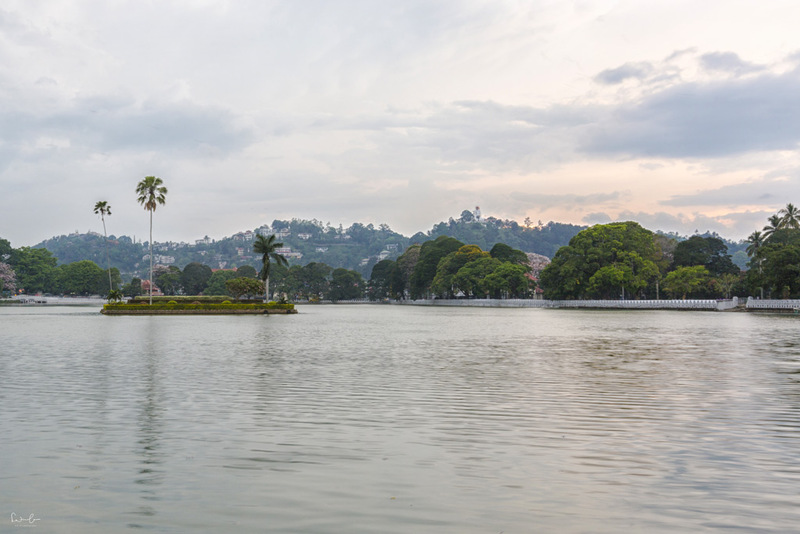 The royal town Kandy offers a variety of history, culture and nature. The beautiful lake in the heart of the city invites you to wander along the shore and get familiar with the colonial flair. The most famous sight is the Temple of the Tooth on the north side of the lake. It is said that the left eyetooth of Buddha Siddhartha Gautama is kept as a relic. By the way, the reflection of the temple in the water is a very popular subject for photographers. It seems grey-in-grey sky is my partner in crime whenever I travel. There’s no reflection in my photo – unfortunately. 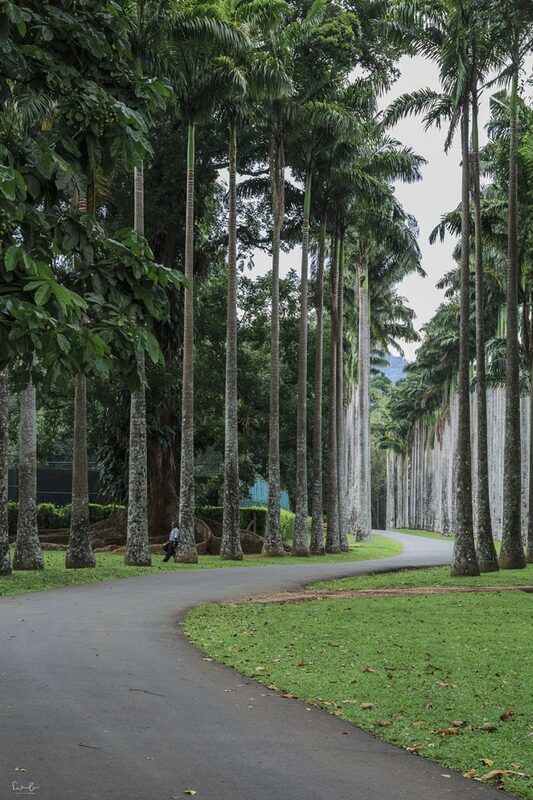 The Peradeniya Royals Botanic Gardens is worth a visit and walk through. 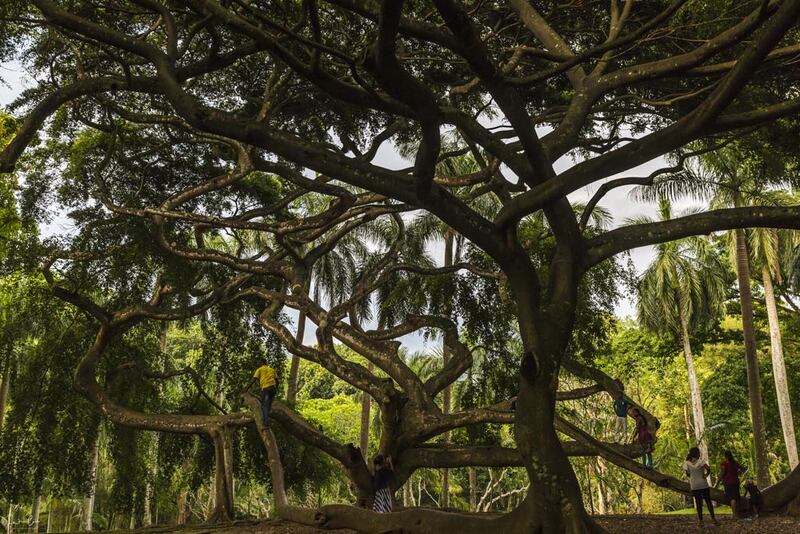 There are more than 4000 different plant species including the impressive Banyan tree. It’s a place to relax and you can escape the busy streets of Kandy for a while. Are you looking for a hotel in Kandy? I can recommend OZO Kandy. It has a huge terrace where you can enjoy your breakfast and the rooms are modern and pretty. I’m in love with elephants. Obviously, I wanted to see and touch some during my Sri Lanka journey without informing myself beforehand about the keeping of them in an appropriate environment or what it means for the animals to be a tourist attraction. I was naive enough to think, there might be some establishments off the beaten tracks despite Pinnawela Elephant Orphanage. The driver brought me to Elephant village close to Kandy. And it was awful. Before I even knew what was happening I was sitting on an elephant who walked along a little trail down to the river. He was in chains and the Mahout walked beside him with the Ankusha (an elephant goad with a sharp hook) in his hand ready to use it as soon as the elephant tries to leave the path. Only after that experience I started reading about elephants in Asia and found out that poachers kill the mummy-elephants to capture their baby in order to sell it for thousands of Dollars to the tourism industry. It is so sad and utterly dreadful. 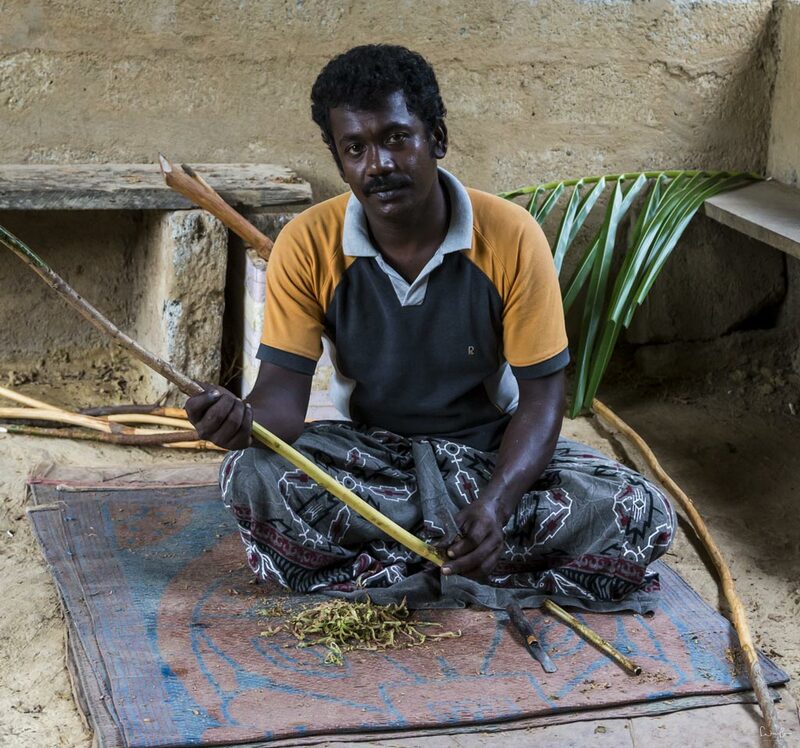 I talked to a Sri Lankan travel expert about sustainable travel. She also talked about the elephant sanctuaries. Here’s my interview with Tekla. 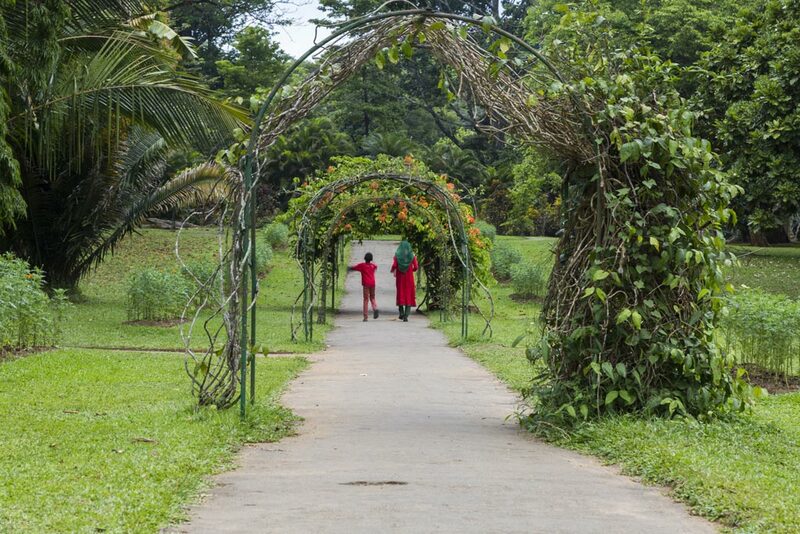 Ranweli spice garden in Kandy is a beautiful garden where you can learn how cinnamon, vanilla, nutmeg, peppercorn and other herbs and spices grow. A guide showed me around and explained the different plants. After the excursion, I was seated and served a cup of tea. So far, so good. While I sat sipping my tea, a man showed up and gave me a back massage without even asking. Of course, I could have said no, but at this moment it seemed to be very impolite to refuse. During the massage, the guide handed me a piece of paper listing all the products and creams they offer while explaining them in detail and applying them to my skin. It got really awkward and I didn’t really want this, but I was just not able to finish the procedure in a polite way. By then I knew that it is very much appreciated to visit the shop upon leaving and do a little bit of shopping. At the end the price of the spices are much higher than on local markets, so I do not recommend this place. It’s one the many tourist traps you find in Sri Lanka. Be careful when you choose an Ayurveda resort. There are just so many tourist baits out there. 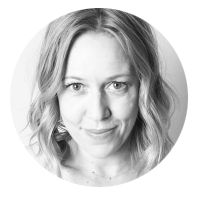 If you’re interested in an authentic Ayurveda experience, I recommend you to read this article telling you which features you should look at. 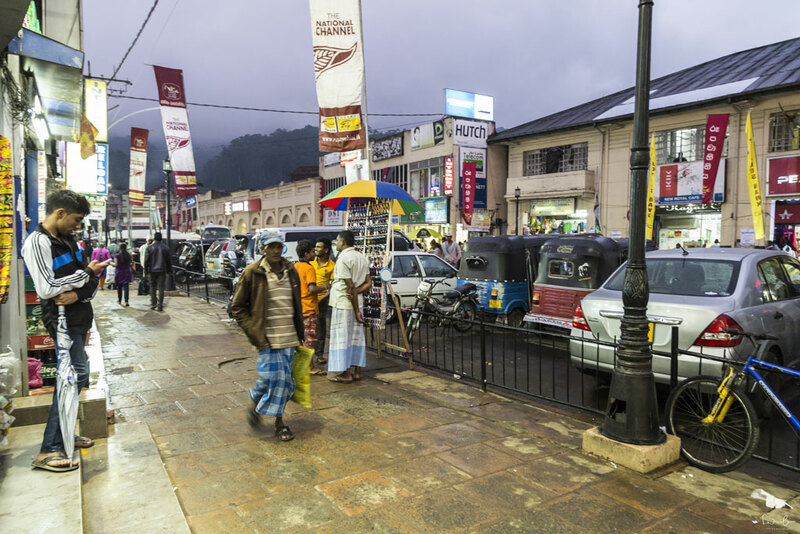 From Kandy, I headed towards the highlands of Sri Lanka and further to Nuwara Eliya. The distance is about 80 km over an altitude of 1400 m. Although the road is pretty good, it takes you a few hours to get to Nuwara Eliya, especially if you do some stops in between. From what I heard and read, the tour by train should be amazing. Whatever way you prefer to travel, you will get a wonderful impression of the beautiful landscape. I made a break at the Ramboda Falls from where you’ve got a breathtaking view of the Kotmale Reservoir. A bit further there’s Glenloch tea factory, where you can get a short tour through the process of tea making. After the tour, you get a sample to taste and are guided to the shop where you are more or less expected to buy some tea. After a few hours, I reached Nuwara Eliya, a rather ugly and muggy little town. There’s New Bazaar Street with a busy market and the colonial post office building and Single Tree Hill a bit further down the road where you can go for a walk through a tea plantation and enjoy the view on Lake Gregory. Spending one night in Nuwara Eliya is just fine. My personal highlight of the tour was the area around Tissamaharama. 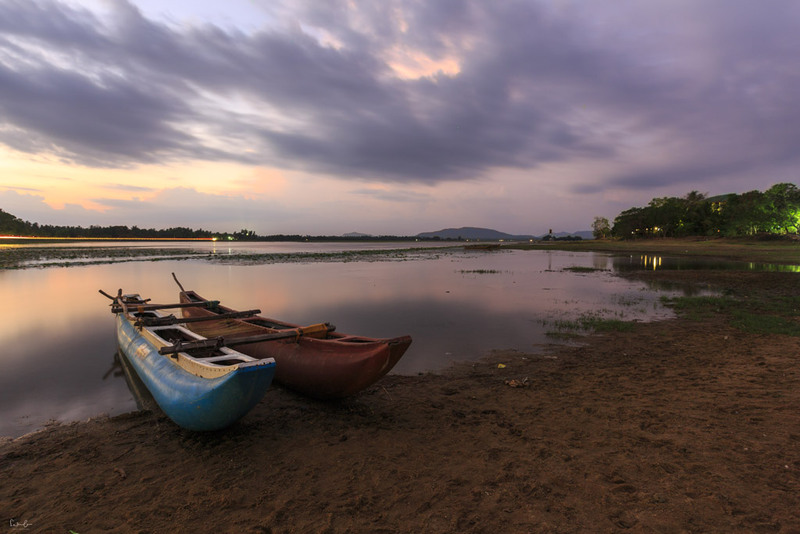 Located along the idyllic Tissa Wewa reservoir, it is a town with ancient pagodas and the gateway to Yala Nationalpark. 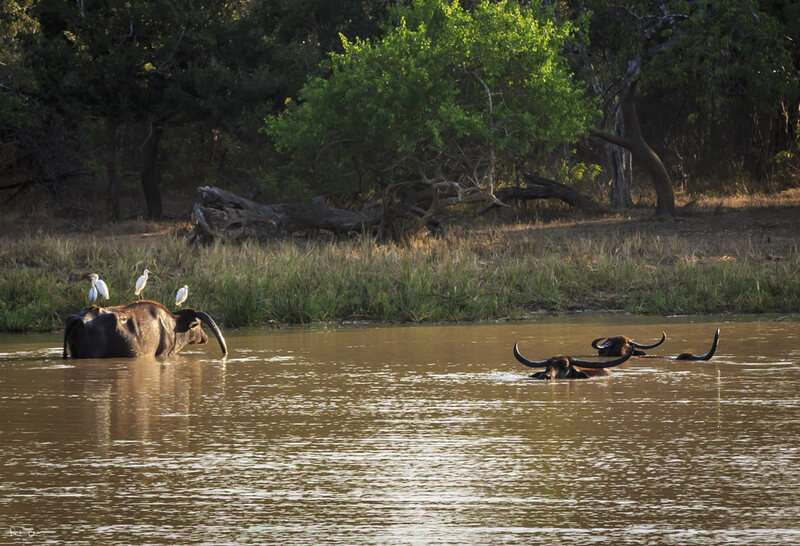 A safari through Yala is one thing to do in this area. It’s home to 44 different mammals including leopards and 215 bird species. You can book a safari on different sites online or you ask the concierge at the hotel. I stayed at Thaulle Resort and got my booking done with them. They offer different packages and you can choose between morning, late afternoon or the whole day. Although I’m not a morning person, I picked the 5-am-tour in order to see how the park gets alive and the sun rises. Lucky me, I saw a leopard quite close and some elephants passing the road right in front of our Jeep. 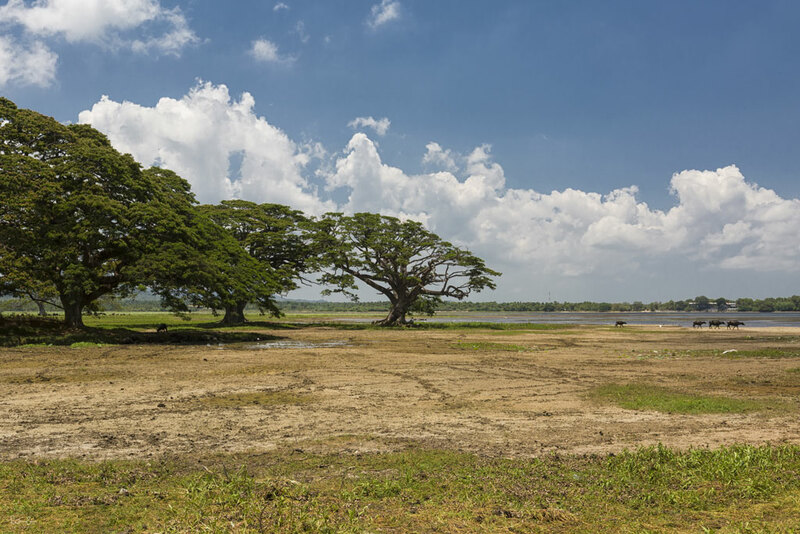 Yala is good to spot the wildlife, but the natural reservoir is just beautiful. 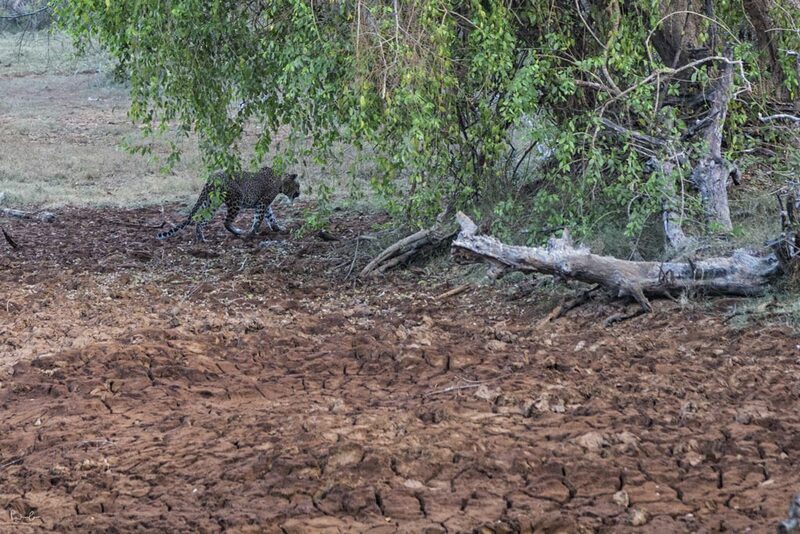 I booked this safari in Yala and yes, it was great to see a leopard. However, there are heaps of SUVs with tourists streaming into the park early morning, eager to see wildlife. That’s not good – neither for the wildlife nor for the environment. I’d like to refer to the interview with Tekla in which she talks about safari alternatives in smaller national parks. In Tissamaharama I recommend Thaulle Resort. The rooms are big and beautiful and the food is great. The concierge is happy to assist you in booking a safari. Galle, a UNESCO World Heritage city located in the South of the country has a huge variety of historical buildings. Wherever you go you are reminded that Galle used to be an important harbor town. The city itself is beautiful and totally different from all the other towns I visited. 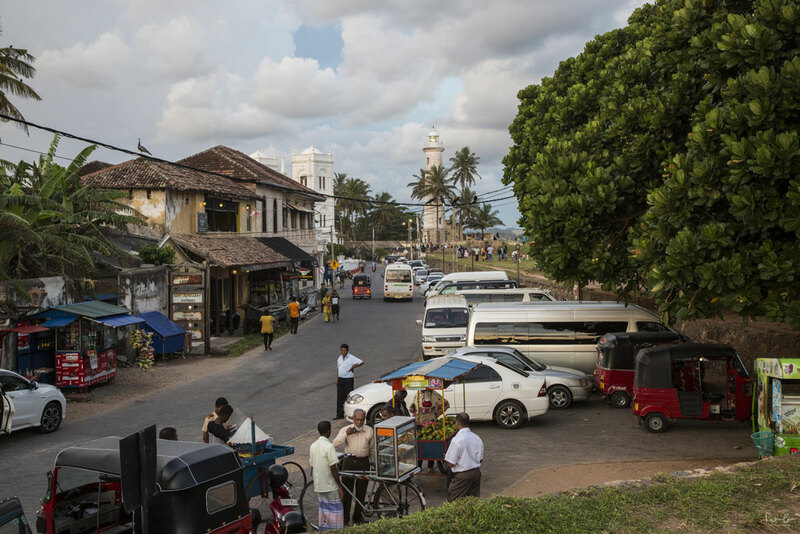 While many Sri Lankan towns and cities are pretty much the main road with stalls on each side, Galle has an old town with grid-shaped streets and it’s surrounded by the fortress wall. It doesn’t take you long to stroll the historic center and you can even walk on the fortress wall to enjoy the sea view. By now you might know that I love to have a proper cappuccino once a day and Sri Lanka made it impossible for me to get one so far. Galle was my coffee paradise – there are very nice cafés offering lovely pastries and proper cappuccinos. Galle is one of the top places to visit in Sri Lanka. Don’t miss it. If you don’t want to change hotels too often, stay in Bentota and go on a day trip from there to Galle by train. About half an hour drive from Galle I reached Bentota, my final stop. It is a very little town with a beautiful beach. There is not much else to do, it is just perfect for a few days relaxing at the beach and watch the breathtaking sunsets. You will find a few lovely restaurants with great food and fresh fish. For your beach retreat in Bentota, I recommend Vivanta by Taj Bentota Hotel. 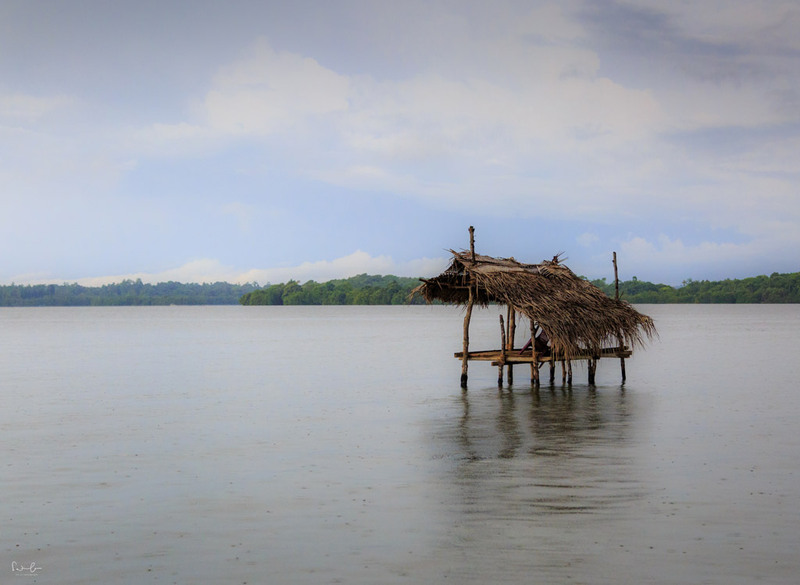 In case the weather is playing tricks and the sun disappears for a few hours you can hire a TukTuk and go to Madu Ganga for a boat trip on the river with its numerous mangrove islets. It is a beautiful tour and you can do it even if it’s raining. However, be aware that the boat skipper guides you to some places where you’re supposed to leave some money. The first stop is a fish spa station which I skipped. He’s not asking you if you want to do it, he just brings you there. 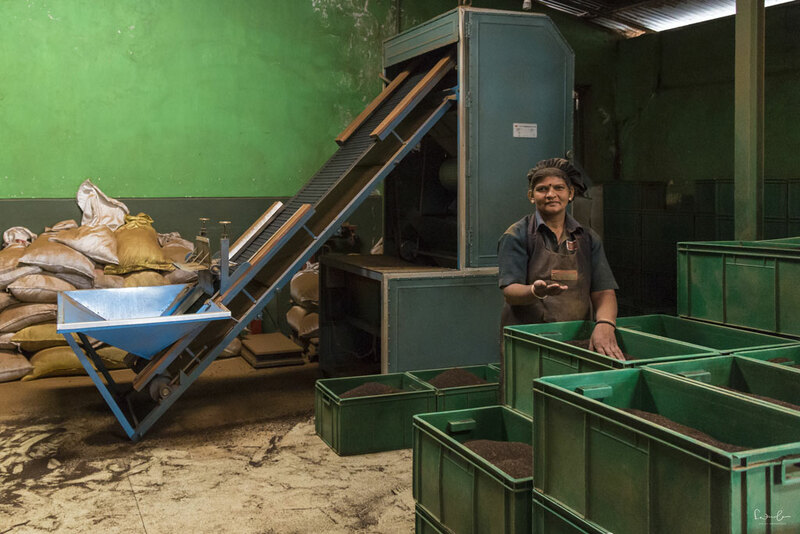 The second stop is the cinnamon island where a guy shows you how to produce the spice. Since I had no clue about the extraction of cinnamon, I found it quite interesting and at the end, I even bought some. I must confess, I only bought it because the craftsman was very nice and had such friendly eyes. Before you start the tour, negotiate the price! It should be around 3500 LKR per boat. The tour operator tried it with 6000 LKR. I said no and left the venue back to the TukTuk and only then he was prepared to do the trip for 3500 LKR. My résumé of Sri Lanka is that the landscape, despite the villages, is amazingly beautiful. 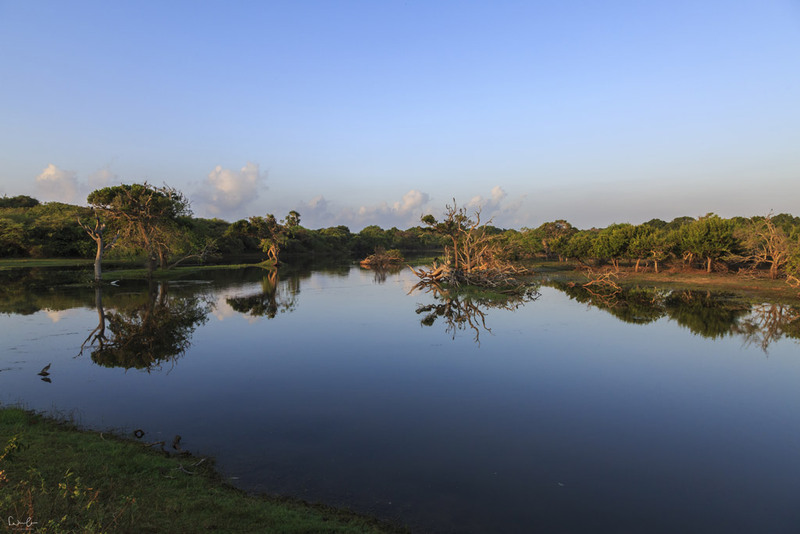 Especially the highlands and the area around Tissa are worth a visit for landscape and animal lovers. However, the longer I was in the country, the more I got upset with all the people trying to sell you everything and claiming money for everything. You have to challenge each price you get told and you need to haggle all the time. I know this is a very common approach in Asia, but to my sense, Sri Lanka is an extreme example. However, with what I know today about Sri Lanka, the culture and the people, I’m very sure that I will see it differently and love the country. I’m working on my next 10 days in Sri Lanka tour and look forward to visiting this country again. I’m curious to hear about your Sri Lanka experiences and what your favorite spots were. 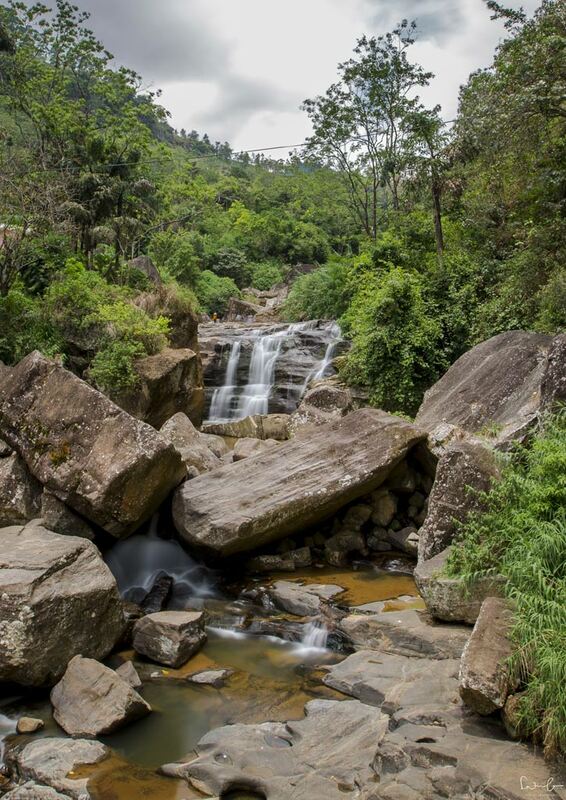 Eliza from Digital travel guru has made a list of 10 things to do and see in Sri Lanka. Check out her blog post for more inspiration. Very good piece! 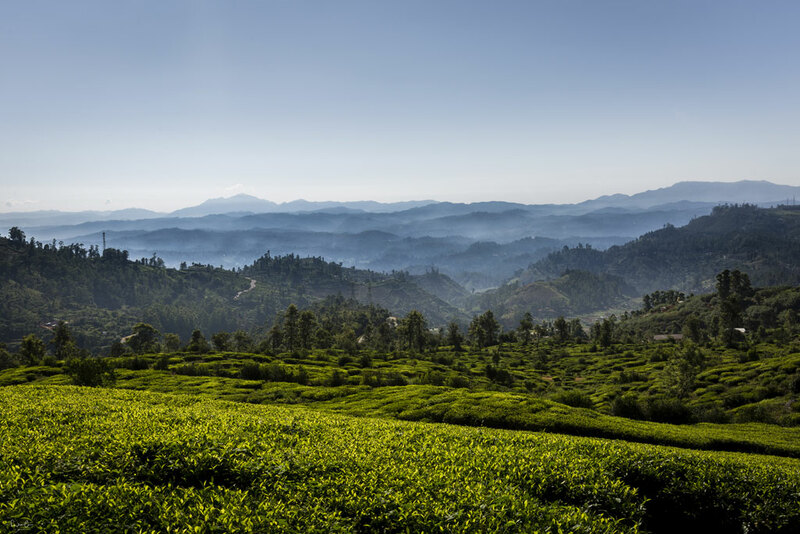 Sri Lanka is compact enough to cover in 10 days – all of the colour and flavour of the Indian subcontinent but less crowded and more relaxed. Thank you. I loved the colors and flavors, too. The landscape is amazing. Thank you so much for your visit on my blog and your comment. 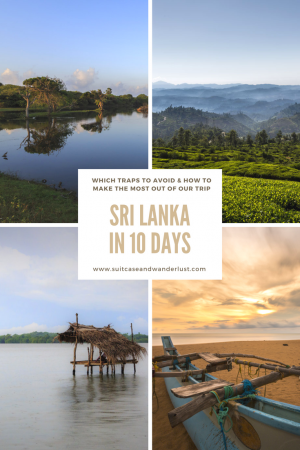 I really enjoyed the landscape of Sri Lanka, but it’s not on my top bucket list to go there again – because of all the traps. The left hand thing is also common in Myanmar. Nicola, this is a great 10 days Sri Lanka Itinerary. 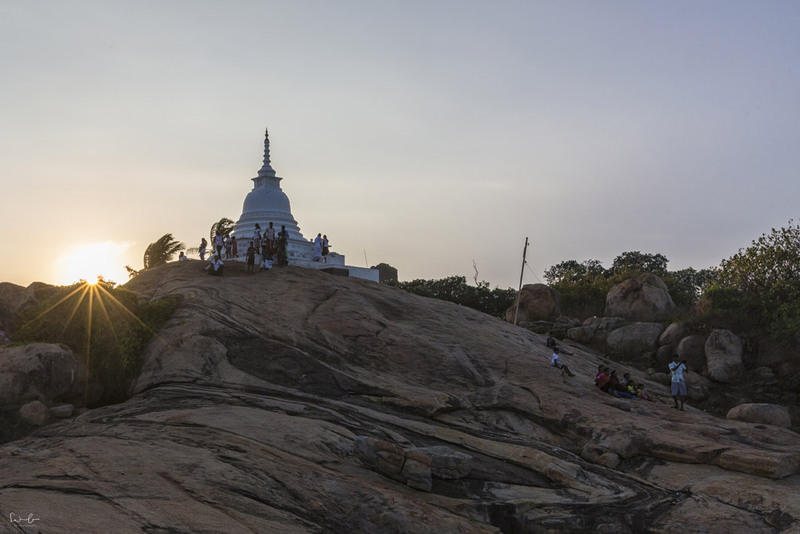 Yes, you can find a lot of miracles to see in Sri Lanka apart from the places you roamed. Mesmerizing beaches, Misty mountains, adventures safaris, historical monuments etc. When you are coming next time to this magical island please let me know. I may be able to show you some hidden wonders of this small island. What a great offer, thank you. I definitely come back and contact you. Would love to explore the hidden gems. thank you so much for sharing your experience . I will go to Sri lanka around 20 March for 14 days , i really appreciate for your information. You’re welcome. Thank you for your comment and visit on my site. I’m glad it helped. Have a wonderful trip. Its very good and useful post…Pic to nice. thank for sharing !